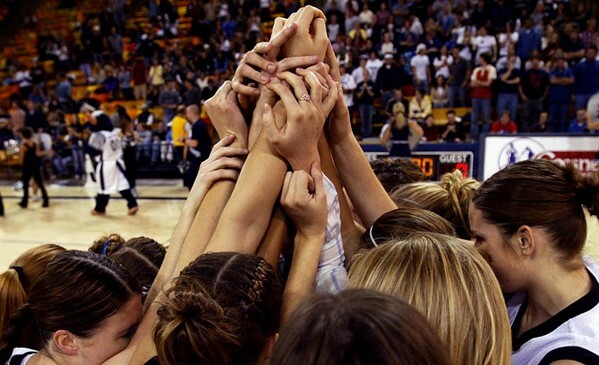 11/21/03 ---UTAH STATE WOMEN'S BASKETBALL --- LOGAN, UT: The members of the Utah State women's basketball team clasp hands at center court before the start of their first game. Utah State reinstated its women's basketball program on March 5, 2002 after a 17-year absence and play their first game Nov. 21 against Southern Utah University. Photo by Robert Hanashiro, USA TODAY.